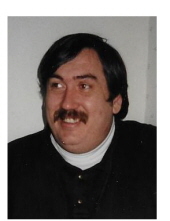 Ricky D. Stufflebeam, 63, of Waterloo, died Thursday, November 22, at UnityPoint Health-Allen Hospital. He was born December 23, 1954 in Cedar Falls, son of Wayne and Annette Nolte Stufflebeam. He married Cindy Irish on April 8, 1988 in Waterloo. Rick was employed with Waterloo John Deere Tractor Works for 30 years, retiring in 1999. Survivors include: his wife; two sons, Ryan Stufflebeam of Shell Rock and Nick (Doraine) Stufflebeam of Cedar Falls; two daughters, Sarah (Jenna) McKinley of Cedar Falls and Jennifer (Ross) Wellman of Portland, Oregon; five grandchildren, Gillian, Taylor, Mackenzie, Christian and Billy; a great grandchild, Ja Maryon; his parents, Rev. Wayne and Annette Stufflebeam of Evansdale; and a brother, Kirk (Sheila) Stufflebeam of Waterloo. Preceded in death by: his first wife, Christie Koch, mother of Ryan and Nick. A memorial visitation will be from 5 to 7 p.m. Thursday at Hagarty-Waychoff-Grarup Funeral Service on West Ridgeway. Memorials may be directed to the family or the American Heart Association. Rick loved watching old movies, especially westerns with John Wayne. He enjoyed telling stories and jokes. He loved to laugh, but more so he loved to make others laugh. He wore many hats, but his favorite was being a family man. He was an amazing husband, father, bumpa, grandpa, and friend. He was loved and will be very much missed. To send flowers or a remembrance gift to the family of Ricky D. Stufflebeam, please visit our Tribute Store. "Email Address" would like to share the life celebration of Ricky D. Stufflebeam. Click on the "link" to go to share a favorite memory or leave a condolence message for the family.